The Food Safety Modernization Act (FSMA) is now in full effect. As you review and update your HARPC and AAFCO programs, Midwest Laboratories, with over 40 years of experience working with clients’ Food Safety Programs, stands ready to partner with you to carry out your FSMA mandated food, pet food and produce safety analyses. Midwest Laboratories has invested in new instrumentation, new facilities, and method development to meet the new FSMA requirements. 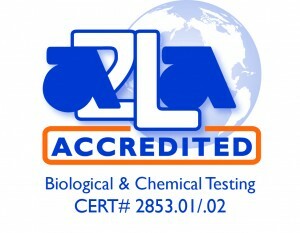 Along with a friendly, client-centered support staff, ISO 17025 accreditation, and quick turnaround time, Midwest Laboratories stands ready to serve your FSMA analytical needs. If you need a laboratory partner to help implement your FSMA program, contact a member of our client service staff and learn more.